J. Stuart Blackton was born in Sheffield on 5 January 1875; his parents emigrated to the USA when the boy was ten. A natural talent for drawing found him a place on the staff of the New York World, writing and drawing a regular illustrated feature on personalities in the news. At this time Blackton was making regular stage appearances as a cartoonist in the company of conjurer Albert Smith, and in the summer of 1896 they were performing at a New York World Sick Baby Fund benefit concert, which was filmed by the Edison company. Blackton was the hit of the concert and in August 1896 he was hired to make three 150-foot films in Edison's Black Maria studio: Humorous Cartoon, Political Cartoon (caricaturing William McKinley and President Grover Cleveland), and Sketching Mr Edison, which was also released as Edison Drawn by World Artist. The romantic story that he went to sketch Thomas Edison for the World and so impressed the Inventor that he was chosen for filming is untrue. The three films were first shown at Proctor's Pleasure Palace on 12 September 1896, and the film of Edison in particular brought Blackton fame and encouraged his entry into the film business. 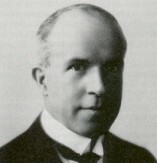 Blackton returned to cartoon films with The Enchanted Drawing (1906), Humorous Phases of Funny Faces (1906), Lightning Sketches (1907) and The Magic Fountain Pen (1909). Each film featured himself on screen as the cartoonist, and used various animation styles from stop camera techniques to under-cranking. Apart from fathering the American animated cartoon, in 1897 Blackton co-founded (with Albert Smith) the major early film production company, Vitagraph (for details see Smith entry), playing the lead in The Burglar on the Roof (1897) and devising the topical short Tearing Down the Spanish Flag (1898). He supervised the construction of the first enclosed glass studio in Flatbush, where he directed such famous titles as Raffles the Amateur Cracksman (1905). At Vitagraph, which after 1905 became the major American film production company, Blackton was in the van of serials, series and feature film production, and in the 1920s returned to Britain to produce and direct the first full colour feature film, The Glorious Adventure (1922), starring Lady Diana Manners. He died in a motor car accident in Hollywood in 1941, having lost all of his money in the 1929 stock market crash.